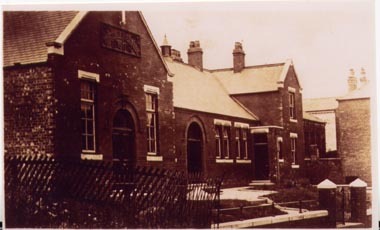 The Lingdale Institute was erected in 1911/12 and cost £1,800. It appears the inscription was concreted over at some point, thanks to M Watson for confirming that this happened during the war to help stop the German’s knowing the area they were in if they were shot down for example. Also a wing on the right has been removed. Interesting post. The establishing of social facilities in mining communities by mine owners appears to have been a regular occurence. I read in one of Simon’s books that Pease & Partners didn’t like their employees frequenting pubs so would set up reading rooms, sports clubs etc. PS keep up the good work Chris, really love looking at this website!